Why do we produce so much content, and so many websites and apps, that people don’t want or need? We take a look at the problem of bloat that so many information rich (non-transactional) sites have. How did our sites end up this fat and irrelevant? James and Per are both fans of quantified self. In this show we take a look at what quantified self and life logging are. We chat about some of the potential benefits plus some of the challenges that surface from a UX and user perspective. Is quantified self ready for mainstream, or is it still a play thing of early adopters and gadget geeks? James: Hello and welcome to episode 53 of UX Podcast with me James Royal-Lawson. Per: And me Per Axbom. James: It’s a little bit odd when we do that the other way around. Not as often we do it that way. Per: No, that’s true. I usually start off. It feels kind of weird. James: It’s like wearing someone else’s underwear. Per: Yeah. It’s August 6th of 2013. It’s a Tuesday today, I think. I have been working a bit that I’m off again and I’m actually at the summer house now. James: I’m at Beantin HQ. Per: Yeah. I’m sitting in a really hot car because this is the only place I could find that would be silent. James: You’re in your car! Per: I’m in my car in the passenger seat because I have five kids I’m taking care of. Well, two of them are mine at the summer house here. So it’s really loud. James: Beantin HQ is 29 degrees at the moment. I’ve got two, maybe three kids. I don’t really know, to look after. I’m clearly not doing it very well. Per: Instead we are recording. James: Exactly. Well, OK, let’s jump into it. First of all, welcome back to all of you in Sweden who have bothered to start working again and is starting to listen to the show. James: of our Swedish audience..
James: …We can see that they roll back into work now and start listening again. So, hello there. Welcome back. Today though, we’re going to be talking about quantified self and life logging. What’s all that about? Per: Well, interesting that you should ask James because I think we’ve talked about a bit before, you and I, about life logging and what’s the difference between life logging and self quantification. The gist of it is that you gather as much data about something as you possibly can to like make out trends and behaviour of yourself or in trips you’re making, your weight, whatever. So usually when you talk about quantified self, you’re talking about data that you’re collecting about yourself and your body and your behaviour but life logging goes even beyond that. I think one of the hugely massive great examples that’s making the rounds and it should have been out by now is the Swedish innovative Kickstarter project Memoto where you actually have a wearable camera. You could even argue that that’s quantifying yourself but it’s also quantifying your life and what you’re seeing around you. So that’s a camera that you attach to your clothes and it’s taking a snapshot. I don’t know what it is actually. It’s maybe every 30 seconds something. Yeah, something like that. So once you start doing all this life logging, you’re starting to see trends and behaviour because then you can see maybe from the photos. You see what you’re eating or how much you’re exercising and the gadgets that you and I will be talking a lot about today, the wrist bands that we wear to monitor our sleep and see how much we moved during the night. You can connect that and how badly you sleep, to exercise, and how much you’re moving around where you’re checking in. Sometimes you see trends which could be quite interesting and that’s the incentive or the appeal for people to actually realize stuff that they haven’t realized before about themselves, but also to be able to look back I guess to previous behaviour and previous data about yourself that has changed over time. James: Yeah. I’m just going to have to go and shut the window. James: I can hear the kids that I’m meant to be looking after far too much. I don’t want to hear them at all. So just hold on a second. James: So sounds are gone. Yeah, well for me, the quantified self aspect is when you gain insights from the data you gathered by various means whether it’s weighing yourself or taking pictures every 30 seconds or counting how many steps you’ve done and so on. Per: You could argue even then that it’s a variant of behavioural therapy that to be able to change your own behaviour you need to become aware of your own behaviour and that’s the basis of behavioural therapy. So what you’re doing here is automating that using a device of some sort. Well, it can actually be that you’re entering data yourself but as long as you’re doing it consistently over time. James: Well yes, exactly. I think it’s just – like all statistics, you’ve got to be careful to make sure that you understand what you’re reading and what it is that you’re looking at. So for self-improvement or the behavioural therapy side of things, I mean if you look at a chart that tells you you’ve had this much sleep, and you believe it’s correct, you’re going to be changing your behaviour best on that information. James: And whether it’s correct or not is something that’s questionable. James: Or how correct is it. Per: Exactly, how correct is it and what type of conclusions should you be drawing from the data. James: Yeah. One of the reasons I mentioned just that is because I have a Jawbone UP band. James: Which I wear on my wrist. It says – looking down at the wrist, realizing it’s not there. Where is it? Then I’ve just remembered now, I put it in my pocket, which is a thing in itself actually that I have to put in the pocket around that, but I will get to that. Now I have a Jawbone UP band I wear and I keep it on during the night as well and it measures steps during the day and it measures how little I move during the night and from how little I’ve moved or how much I’ve moved, it judges whether I’ve been sleeping deeply, lightly or awake. James: Now this produces lovely little graphs. I think the Fitbit Flex that you have, you know collection, does a similar thing. It measures how little you move and produces nice little sleep graphs. Per: Exactly, basically the same output from these different devices actually. Per: To be clear, I have the Jawbone UP as well before and we both had it while we were travelling to UX Lx. So we were sort of comparing the data we were getting from that as well at that time, which was really interesting. James: It was very interesting because we were sharing a hotel room as well so we had very similar sleep patterns because we were going out together and so we’re waking up together. Per: Oh my god. We’re going there again. James: Oh, really. Anyhow, what you could see was that you Per for example, you actually – my wife as well. You’re very still during the night. James: So even though you’re awake, it doesn’t register you’re awake because you’re not moving enough and my wife, when she was using hers at first, she ended up getting to the habit of when she woke up during the night, she would shake her arm so that the UP knew she was awake. So it would register an awake moment. James: Yeah, which is silly really. But no, but for her that was her pattern of sleep. So to try and improve the graph, she was doing this kind of – she was having to work a little bit extra to get better data but that’s a learning thing. when the app presents the graph to you, it doesn’t really – there isn’t really so much talk about it’s inaccuracy or potential inaccuracy. The marketing and the drive of a lot of these quantified self things is this is how much sleep you’ve got. This is how many steps you’ve taken. Per: Yeah. When you open up the app, it actually tells you you’ve been awake seven times this night. Per: And the funny thing about that is that a lot of people are going to take it literally because it is presented literally. James: It is presented literally. Per: And you have to start interpreting the data. Well, that means that you’ve moved around quite a lot perhaps seven times during the night and you may and may not have woken up specifically during those times. James: You want to peel back a little of the UI effectively and say OK, when it says this, it really means this. My wife, she actually stopped using her Jawbone UP for two months, the last couple of months, because she just got so disappointed that it wasn’t really telling her how much sleep she was getting and I explained to her in my usual way. Well, of course it’s not going to know exactly how much sleep you’ve gained because you haven’t got electrodes attached to your head. The only way you can tell exactly how much of six different levels of sleep you’ve got and the four different types of REM sleep and so on is by the electrodes attached to your head. This is just a kind of gyroscope that’s attached to your wrist. Of course it doesn’t know. Per: But I mean most people won’t know that and I mean they will trust the app, what it’s telling them, because this is a new thing. It’s a great new device. It’s being marketed that way. It doesn’t have a big disclaimer when you open a box that – don’t trust the data. It tells you that this will measure sleep patterns. It will measure the number of steps you’re taking – and that’s it. James: You had both on your wrist for a while, the Jawbone UP and the Fitbit Flex. James: So there you got to see how each of them has different formulas you could say for judging what kind of movement is a step. Per: Yes. When I walked more than 10,000 or 12,000 steps per day, usually the Jawbone UP was almost 1500, 2000 steps less than the other one. So I mean that’s how you can tell that they’re not really exact and usually you probably have to calibrate these to your own walking style, your own gait, which is really interesting as well. I mean you can’t take a device and be sure that it will fit with your body and the way that you move around and if you’re – and as we’ve both noticed I think is that if you’re riding in a car or riding a bicycle and stuff like that, it does register something and sometimes not as much as other times. So many different aspects of this that can affect the data that you’re seeing. Per: Shopping trolleys, oh that’s interesting. James: I realized that when I do shopping which sometimes can take an hour and a half, I just get almost a flat line on my graph of how many steps I’ve taken even though I’ve been walking for an hour and a half. James: And that’s because my arms are holing the trolley. Per: So you will have to start walking with only one arm pushing the trolley. James: So you put your Jawbone UP in your pocket which is why mine was in my pocket now because we went shopping this morning and I put it in my pocket while we were shopping. So again, you have to learn an interaction in order to fix the limitations of this particular device. I mean OK, if we’re talking about the – what is it? Withing scale, the Wi-Fi scale that can measure your weights and it transfers up to the app it’s on. That’s a little bit different thing because with the scale, I expect it to be 100 percent accurate when it comes to weighing me. Although as we know, if you weigh yourself in the evening or morning and so on, you get different weights because of different liquids and different food in you and so on and waste in you. Per: You’re even actually – well how do you say it? Less tall in the evening than you are in the morning. James: That’s right. Your spine compresses and it can be a couple of centimetres. Per: So if we connect this to a UX perspective, then I think it’s really interesting how you communicate to the user will set the expectations of that experience and if that experience is not aligned with what you’re telling them, then they’re not going to like it. James: But if you told someone, “Ah, this is all a bit of fun. It’s not really accurate,” would they sell any? Would people be interested in changing their behaviour? Doesn’t it have to lie a little bit given the limitation, the intrinsic limitation? Per: Yeah, so that’s interesting. So people would buy it. Well, they use it. So does that really mean that people are not ready? Is the device not ready for the mass market yet? Is it just ready for the geeks like us? James: I would say so. I think generally a lot of this quantify self stuff demands you to be quite – well, highly engaged. You’ve really got to be driven to want to keep it on you, to keep syncing or checking the app or learning these little tweaks to make it good. Most people aren’t going to bother doing that. James: OK. Maybe we go beyond geeks here. We’re going to get into the fitness geeks as well. Per: Yeah, exactly. Like my wife currently who is running a lot and she has been using a Fitbit One which is not the arm band but the one that you attach to your clothes. She has been using that for over a year now. She has been using it like everyday and she’s really fond of it and it has changed her behaviour a lot because I mean – and mine sort of. I mean I had a Fitbit One and didn’t have anything for half a year or something but we started taking walks in the evening to get up to 10,000 steps as per recommendation of what someone our age probably would need to walk everyday to keep healthy. That’s really interesting how that behaviour changes and we can bring people together as well, not only in the virtual world but in the physical world. We’re actually starting to take walks together and which is an interesting effect. Whether or not the accuracy of the device is an issue here, I’m not sure, because I have – I think I have the same discussion with her that it’s not that accurate but it’s a trend and that’s sort of fine with her. James: I think that’s the key. Just when it comes to these bands, being aware of the days when you’ve not moved so much is quite useful. It’s a reminder to say, “Oh, you actually do need to move more than this.” It can make a couple of hundred calorie difference in your burn rate by walking a few thousand steps less. I noticed that during the summer. When you’re in holiday and you sat around, you’re drinking beers and relaxing, I’m not walking about. You understand why people go gain weight during the summer, during the holidays. Have you tried the FuelBand, Nike FuelBand? Per: No, I have not. James: This is for people that run. This is another wristband that you put on and the FuelBand in my impression – and I’ve got no real idea about this – is that there’s more normal people who have the FuelBand than the UP and the Fitbit. James: It’s pushed by Nike with trainers and everything. I’ve got a couple of running friends in England that have the FuelBand. Per: I’m guessing it’s also time to market and I’m guessing in the fitness world the FuelBand is a lot more used. The FuelBand though does not have the sleep monitoring, I think. It only has steps. James: Yeah, steps. What’s that with the little satellite thing, the little – there has got to be a name, the little thing that you put on your trainers. Per: Oh, that you put in your shoe. I actually have shoes that one of those fit in. James: It’s called Jeremy or something. No, not Jeremy. It has got like a man’s name. James: I’m sure it has but that’s another little thing. Is that something you have in addition to the band or you have just that and an app? Per: Just that and an app I think. James: Right, OK. That measures steps as well. Per: That was a Nike Plus thing that they – that’s the first launch they did together with Apple I think, one of the first devices that could actually talk with your phone and give you information about how far you were running. James: Right, yeah. One of the first ones on the market. But this whole – back to the question about whether I still – I think generally it’s just geek stuff. To go mainstream, with almost all of these things we know that to go mainstream, involves a level – I think a level of simplification that isn’t there yet or a level of desire that isn’t really there yet. Per: Right, and something that they are trying to do is be able – you’re making people able to personalize these armbands more and more and have your own colour. They’re trying to design them in a way to make them more appealing as well. So that’s one big aspect of these arm bands is that they have to be designed really well for people to even want to wear them and that’s one reason that my wife actually doesn’t have an armband. She doesn’t want to wear one though all the time. She has the one that she has in her clothes even if that means that she sometimes forgets to put it on. James: The thing there is you could use it sometimes with these telephones and have apps on their telephones. James: But I get the impression they’re really – even less accurate. I’ve got that impression. Per: Yeah, I can’t really say. James: Also you don’t wear it around – it’s not with you maybe every single hour of the day, so you can see things. Per: And having the phone on your arm when you’re sleeping isn’t really that comfortable and believe me, because I’ve tried because there are apps for that. Oh, actually when you attach it to your chest. James: You mean you strap an iPhone. Per: You strap an iPhone to your chest. I have tried this but not – like two times. James: Like Iron man. The generator thing in the middle of your chest. Per: And that was the first one time I tried what you have in the Jawbone UP which I don’t have in the Fitbit Flex where it actually wakes you up when you’re in light sleep. So that’s one of, I think, the main features that I am sort of envious of you that you have is that it wakes you up. It can tell when you’re moving around a lot so it wakes you up before you’ve set your alarm for it, before the time that you set the alarm for it because if you wake up now, you will feel better than if you wake up later or maybe in deep sleep. James: Exactly, that’s the thing. It is a Smart Alarm and you’re right. This is my killer feature with the UP and I love this. I’ve changed using this every single day now as my alarm. You give it an alarm window of 20 minutes or half an hour and you tell it this is the latest time I want to get up. Say 20 past 7:00 and if you get an alarm window of 20 minutes, the band will – it will of course be monitoring your sleep. It’s monitoring your movements and if it notices you’ve come up from deep sleep into light sleep or rather if it notices you in deep sleep when it’s your alarm time. It won’t wake you. It will wait as long as it can to let you come out of deep sleep naturally and start moving around a bit. Then a few more minutes and it will vibrate unless it reaches the end of it. It’s right. What happens is that, that you wake up more naturally. You wake up at a point where you’re actually ready to wake up and you feel much less tired than that car crash of an alarm when suddenly something starts wailing at you at a certain time. You have move around then to go to snooze and so on. It’s an excellent feature. I’m hoping they develop it a bit more to make it a bit more – a little bit more flexible. Per: And I’m hoping that the Fitbit Flex will develop it because I mean that is a software feature that they have the data so they could implement it afterwards. Per: It’s what I’m thinking. James: Yeah, it’s software mainly but at the same time, I’ve noticed that you can only see what alarms are set by looking in the app. So I have to get out of bed, go to my phone because I don’t charge my phone in my bedroom and plug the band into the app, open the app, check the alarm, see that it sets and undo all that. Go back to bed. It takes minutes whereas if there was some kind of display, it could just tell me so many hours the next alarm. Per: Right. That’s true. Yeah, I agree and I’ve been comparing the Jawbone UP because I’ve had both with the Fitbit Flex and what has been surprising for me is how enormously different these two arm bands are based on – well, they’re supposed to be doing the same thing really, measuring steps and like monitoring your sleep. They’re designed very differently. Just studying these two devices, it’s interesting from a UX perspective looking at how they actually implement it and how you charge it, how you sync it which is wireless for the Fitbit Flex if you have certain phone times like the 4S and up, iPhone 4S and certain Android phones as well. James: Does it use Wi-Fi or does it use Bluetooth? Per: It uses a special type of Bluetooth. I’m not sure if it’s called Bluetooth 4.0 or low energy Bluetooth but one of those and not all phones have it. James: It might be the same thing. I’m not quite sure. James: Yeah, OK. That’s interesting but I like the fact that the Jawbone UP needs to be charged every 10 days and it’s pretty much true. It’s more than a week anyway so I change it every Monday morning. Per: … insane. Yes. There is an API and there is a third party app for – that I’m using that actually emails me when it’s getting low in battery but I’m so surprised they haven’t implemented it on the device. James: I mean that’s the kind of thing we’re talking about, this extra step, these little extra things you got to learn and tweak and do to make this work which implies that it’s clearly not ready for mainstream. Per: Right, which makes me think also because I mean the display that my wife has on the Fitbit One, it’s a large display. You can just look down and see how many steps you walked. It has a clock which none of our devices have and stuff like that and I’m not sure if it shows the alarm. Maybe it does. Maybe it doesn’t. But you can see so much more without having to sync it, without having to go into the app, which I think is a real benefit as well for the most people who are just getting started with this device and who are more accustomed to the old types of pedometers and stuff. James: I mean I wonder if the whole quantify self thing is kind of doomed to be like low adoption and inaccurate, given that we know that most people don’t bother configuring things. Is it ready out of the box? And just with quantified self, it’s incredibly personal. You’re measuring you and so if you are prepared to customize, and most people aren’t, then how can you make a product that is a one size fits all? Per: Exactly. I think that’s a really good point and I mean just one example is that both of them comes at actually – you’re supposed to walk 10,000 steps everyday. Per: And there are a lot of people who don’t do that and aren’t able to. So what happens is that you get all these sad faces and red alerts and stuff that you haven’t and you get that for two weeks and I mean you’re ready to give up and the thing about UX and your experience in behavioural psychology is that you need to get quick wins fast. You need to see the benefits of using it really fast. So it should be set like at 5000 and then my recommendation is usually set it at 5000 and when you manage to do 5000 steps everyday for a week, then raise it to 6000. James: Again, one size fits all. It’s a very different use case. Per: You need the quick setup guide. James: Yeah, me and you and not runners. So we don’t knock up that kind of number of steps in the same way because we’re just walking. James: Yeah. So we need a quick setup in the beginning. Yeah, that maybe it is. Per: It would help at least, I think. Per: No, it’s all the same things. How do you get started? How do you talk to it? I mean the Jawbone UP has a physical button. The Fitbit Flex, I have to tap it, different stuff like that. How do you get it to talk to the device, to the app? Per: How does the app talk to you? Is it telling you stuff that aren’t true and how do you react to that? Like the example I gave with waking up seven times even though you haven’t and there are so many aspects in UX to this – since it’s a physical device in which I love about it and you have to think about – well, from the point that you wake up in the morning and how you interact with it during the day and how many days before you charge it and stuff like that and all of those things combined is what creates your experience. I mean the main reason for me, using the Fitbit Flex right now is because I’m competing with my wife who has also a Fitbit device. But I mean I can’t say that there’s a clear winner between the both of them even though they’re very different in design and functionality. They both have benefits and well, disadvantages to them. But there’s so much more to do in that area actually I think. Per: Well actually, you have to tap it and you like tap it twice and you see how far you went. Oh, there’s an indicator for how far you’ve reached, how close you are to your goal and you have to tap it like four times quickly in a row when you’re telling it that you’re going to sleep and usually that fails for me and I have to do it like three different times. James: Have you seen – there was a sketch on an American – one American talk show kind of late night – late evening talk show ones where they did Google Glass and he was tacking the mickey – go back glass back! And he was shaking it flicking his head flicking his head and it looks like you’ve got some kind of crazy tick because you’re going to do this head motion thing to make it go back. Per: And sometimes I have an alarm going off when I’m like in the store or something or standing by the cashier and I have to start tapping violently on my wrist and they can’t really understand why. At one point I actually – I was shaking a juice carton and I realized that my band was set to sleep because it thought I was tapping it. So I mean that type of interface has lots of disadvantages to it. I mean you have to think about people actually move their arm in real life even though they’re telling you that you should put it on the arm that’s not your strongest. I mean that doesn’t always like solve all the problems that you can encounter during the normal day. James: Fascinating, but it’s – there’s a lot of stuff here and a lot of stuff to do that you said, the interaction and about a two-way interaction with a physical device and communication feedback. Not just feedback in the from of graphs but feedback from a small visual acknowledgements or sensual acknowledgements. Yeah, it’s a fascinating area when it comes to these bands, but even with some of the other quantify self things and how you – why do it, what you can do from it and the incentive side of things is crucially important. I’m thinking of Memoto there and taking the photos all the time and trying to build up some excuse as to why the hell you would want to take a picture every 30 seconds of your life. I can say that that’s definitely not going to go main stream. Same thing with Google Glass. I just can’t see why or maybe I’m just being old there, Per. Are we being old again? Per: I’m not sure. I was sort of thinking the same thing. Are we being too old? This spring I was – at a talk with – there was a Quantified Self Stockholm meetup and Kevin Kelly came. Per: He’s the founder of all this quantified self groups and also the founder of Wired, a co-founder of Wired Magazine. But he was talking about how important it is to keep measuring even though you don’t know why you’re measuring. Per: Because sometimes you just find stuff because you’re measuring. Per: Yeah, and I really love that, what he was saying there because that’s really an important point. If we stop measuring, if we don’t see the point of it, then we’re not going to discover anything new. But if we start collecting data, as much data as we can and start seeing trends, then all of a sudden new stuff is going to appear that we can draw conclusions from and probably change the world basically in the end. James: Now he’s absolutely right with that. You can never go back and start collecting data again. You don’t do it. That’s true of everything, whatever we’re talking about, analytics for our website or temperature values from your house or your wristband that’s measuring you. Per: And that’s something we haven’t talked about today is the data that we’re actually collecting can be used by our respective apps and the companies that they’re behind, so you can actually get – I mean you’re inputting your age, your weight, your height and everything. So you can get on the whole population. You can start seeing trends on how much our people are walking during the day in different age groups and what is the norm and what is the mean and what should be the recommendations. We’re seeing that people are walking less over time and you can start seeing that over the next 10, 12 years if people are using these types of apps. James: Yeah. Why don’t we just all get the chips fitted? Per: I mean it’s inevitable, isn’t it? James: To be honest, I’m starting to think probably. It’s going to be so much – I mean you’ve already had the night clubs. A few high end night clubs have the little chips inserted, injected into your arm. James: It is a way of kind of having VIP pass and non-transferable. So I think there is going to be a growing group of people who are quite willing to have a little thing injected somewhere. Now people have got tattoos and all the rest of it, and piercing. So I can’t say there would be too much of a problem with a chip, provided they’re reassured about the integrity side of things. You’ve got control over it and it’s not some kind of like dog tagging system where you are getting hooked up to a government database somewhere to monitor how much you’re sleeping. Per: I think the conclusion here is that I mean these devices that we’re talking about, the sensors and the self-quantification, I mean it’s ripe for the picking for us geeks and it’s fine for us early adopters but it’s not really there yet for the mass market. But perhaps that’s what we’re for, that we have to use these devices so that they can like calibrate them and make them better over time so that more people can use them. James: And learn a huge amount. This is an excellent opportunity for us to analyze what we’re doing, analyze and to look at – how does this physical object that we carry with us all the time, how does it work? What’s making this work, user-interaction-wise or UX-wise? What don’t work? I mean give us a little chance to experiment. That’s what us early adopters are for. We are for testing up. Per: We are guinea pigs. James: Yeah, we’re guinea pigs and we like complaining about it a bit and so on. But it’s fun and I mean that’s the most important thing to remember of the quantified self stuff. It’s actually fun. Per: Exactly. Yeah. Good point. It’s getting really, really hot in this car. James: A little reminder, now that our Swedish listeners have come back and come back to work after the summer break. We’re going to be at Conversion Jam 3 on the 10th of September like we were last year. Per: Lots of international speakers. James: Yeah, including one of our favourites, Craig Sullivan. James: Also Brian Massey. He did that last year too. Sorry, André Mores was there last year. So no, it’s normally a really good day and for you listeners out there, we have a discount code if you want to come along or you are in Stockholm or in Sweden and want to come along. Per: And just for the sake of meeting us. James: Yeah, that works too. The code is simply “UXPODCAST” if I can remember correctly. Per: When I saw it, it said “UX Podcast” in capital letters. I don’t think that matters. James: If you don’t get the 200 kroner discount with it in lower case, try it in capitals.. Per: Oh, yeah. I’m really looking forward. Yeah, we will be recording our shows on location there as well, which would be excellent fun. Per: One great way to get access to the speakers. James: It’s, as always, great fun. So thank you very much for listening today. Per: Yes, and we will talk to you again in two weeks. James: What do you say? Per: I say remember to keep moving. James: I say see you on the other side. Per: Hello and welcome to episode 52 of the UX Podcast. You’re listening to me Per Axbom. Per: And we’re set – what date is it? Per: Eighteenth of July, Thursday. I’m recording this a week ahead because you’re going to Spain. James: On Monday and well, I’ve bottled it. We recorded one episode when you were in America but to be honest, I just got excited about the fact we could use our new microphones. Per: Right, new microphones, condenser microphones hooked up to Blue Icicle. So you will have to let us know on Twitter if this sounds better than usual. I really hope so. James: I just couldn’t bear the fact that you would be recording using these new microphones and I would be using Skype on my tablet from a little apartment somewhere in the south of Spain. Per: You want to sound as good as I do. Per: OK. We’re fully dressed. Per: Don’t go there. You’re always confusing the listener. I was going to explain one of the fun things about doing a podcast is you don’t really have to take a shower but people don’t really care what you look like or smell like because you only had to listen to our voices, our beautiful voices. When we decided to do this – we just decided yesterday. You made a joke that when it’s coming over here early, that you wouldn’t be fully dressed probably. James: I said that you were scared of Jimbo flesh. Per: Yes. Thankfully you were dressed when I came over here. You hadn’t had breakfast yet. James: Sorry, I’m fully of food now. I’m dressed. James: Everyone is dressed. To calm you all down, we’re all dressed. Per: But it is really hot and it’s getting hotter in here. James: Yeah. People who have been listening to this show for a long time will know that the – well Beantin HQ, the studio where we record this, during the summer months, it does get warm in here but we’re only up to 24 degrees. James: It’s just two but not the same two as it was a second ago, the trampoline in the garden, which we can see from the studio window. Per: Which also is a good test of the soundproofness of your studio and the quality of our microphones. James: Yeah, and the loudness of my kids. James: It’s not going to go well, is it? So what are we talking about today? Per: Well, I think it was last Friday. Bruno Figueiredo, you will know him from UX Lx, the curator of the UX Lx Conference. My first thought was well, hold on. We have all these tablets and mobile and we’re thinking mobile first. Should we start going wider? But then I realized it was like – it was a good question partly because mobile first is valid in countries where mobile first is true but also as you pointed out to me James, clients are still designing or wanting websites that look like websites. James: Yeah, there’s an actual element there that it’s not just about the kind of design utopia. You still got to – a clients relationship and a lot of times, they’re going to want to have a desktop design or something they can give an opinion about and look at and I know that you have to deliver that kind of thing quite a few occasions. Per: Yeah. And other stuff going through your head is like, “Oh, do we go wider?” Does that mean wider columns for content? I mean must decrease legibility and readability and all that stuff. It would be so hard to read. What would you put in all that space? It’s like some Manhattan architect seeing a new space and you have to build something there. But do you really have to fill every space on screen just because people have bigger screens? James: You threw a lot of questions out there all in one go. But I mean the 960 grid, there has been the – that has been the kind of foundation of a lot of the design work for a long time. Per: And people have loved it. James: Well obviously about 2007 or something, 2006 or something like that. Per: And it has worked nice because it split it into four columns, six columns, eight columns. Per: Is that probably because as a designer you’re aching, aching to design new stuff that fits the screen that you’re on everyday? James: Or as an agency or something as a team delivering to the client. You want to deliver that little bit of magic, that new thinking to push you ahead of the crowd. Per: Now the interesting thing of course then is can we even have this discussion about what size to design for without knowing what we are designing. That’s kind of funny. So when we talked about this yesterday, we thought, “So how do you actually decide what is the best screen size to design for?” It’s really impossible unless you actually know what product you’re designing, what goals you have. So I mean the gut feeling is start looking at statistics like Bruno did and seeing that oh my god, people are using all these large screen sizes now. Should we start taking them into account? Then the research you’ve done James is pointing out that people actually have large screens but they’re maybe not even having the browser maximized meaning that they really don’t have the need for actually having that big large real estate screen size that you’re designing for. James: Well, we talked about, for a while ago now, I think it was autumn last year. Jakob Nielsen, he altered his recommendation. I think it was – how long is that? It was the end of last year, I think it was. His recommendation for what width design for from 1024 wide to 1440. He went up 50 percent in his recommendation based on screen resolution research he had done showing people are using screen resolutions that are huge amount bigger. Per: That’s about the time when we started wondering if Jakob Nielsen was getting high. James: Oh, we just presumed he was not writing the articles anymore. He was getting a student or something to write them because there was a whole row of articles there which were just off the wall. They really weren’t quality and good like they used to be. One day we have to interview him. James: But anyway, so what I did, I updated my – I’ve been doing viewport research for a few years now and I’ve created methods that can help you log viewports in Google Analytics. They log it themselves on Google Analytics but you can access the data in a good way. Per: So just to clarify now so that everybody is on the same plate. Viewport size is the size of the browser that’s – the actual screen size. Do you have the definition? That what you’re seeing is the viewport. I mean you can make your browser smaller and then the viewport is what you see. James: But your laptop still has the same screen size. James: But you’re using less of it for your webpage. James: So this is the viewport. It’s the real estate you’re actually using to put your webpage on. James: Yeah, this bevel around, stuff like this. So everything has a viewport whether it’s mobile phone or it’s a smart TV or a laptop. You still – there’s a bit of the screen you’re using to show a webpage on. Per: So you could basically say that the webpage is never the size of the screen. James: Now, it’s not – I think even then you find that it’s like a one pixel bit here or there. James: It’s difficult to watch it getting maximized even on tablets because you even got pixel density ratios. Per: Right. Oh, that’s another story. James: We don’t need to get into it just now really but I mean it’s complicated. My research, I’ve seen – I’ve been monitoring, I’ve been tracking the viewport size on Beantin.se for three years I think now or more and I’ve seen the resolutions of visitors go up. I mean there’s just a lot more huge screens anywhere. These Retina Displays are two and a half thousand pixels and so on. But what I’ve seen over the last two years or so is that the width, the average width hasn’t really increased. It’s still hanging around the kind of – well, 1280 or just under 1280 wide. James: And it has been like that 2010, 2011, 2012. It has not got bigger. I’m excluding mobile from that because this is – when we’re talking about these giant screen sizes, I think it’s relevant to talk about just the desktops. James: I think you would have to do some proper research onsite with real users and what’s their behaviour because you can’t see that from your statistics. James: But I know from ones I’m looking around is that the people who do have the giant screens, I’ve seen – what I see there is that there were maybe two side by side that you and I have a giant 27-inch screen. You’ve got two Safaris or you’ve got programmers for example. This is where I see it quite often that they would have test version of – webpage will be open on one side and then the other side would be the coding screen. James: Or where they’re writing, when they’re doing something. So that’s huge split screens. We used to have – I mean I still do. I have two monitors here in the office. Per: Right, yeah, and I like to do that as well. James: So these giant screens, they just allow you to have two screens. Per: Yeah, to see more at the same time. James: Yeah, because you’re viewing angle – you can’t look at these big screens all at the same time. You’ve got to turn your head. James: So if you designed a website that was two and a half thousand pixels wide, a person looking on the content of the left of the screen would have to move their head to see the content on the right. James: That’s a design that’s huge by itself. Interaction design, how do you solve that? So you can argue there’s no point trying to fill up that space because it’s – most people are not going to stretch your site that wide. James: These desktop screen sizes, yeah. Then smart TVs have a massive resolution as well. James: People don’t use the browser on them because it’s awful. James: It’s horrible. Interestingly there, if you do run the browser on them, they don’t use the full resolution anyway. James: They adjust it so that they’ve had to zoom in without getting too deep into the ratios and things. It’s not about the pixels that you kind of – you’re being sold. It’s about the way that your operating system or your laptop or device is presenting those pixels to you or that real estate to you. James: That’s from last year, wasn’t it? Per: Yeah, I think it is and Ian Yates, he makes the case for the responsive. Then you don’t always talk about responsive in this way because you always think about responsive web design being as something that you do to accommodate mobile devices. But responsive goes both ways. It goes smaller. It goes wider. Per: So responsive is all about accommodating the large screens and he makes a lot of examples or provides a lot of examples of what could you do with this new real estate that you have. James: Because we have to fill it. Per: Because we have to fill it and it does make a point in the end that you don’t have to fill it. It means you don’t have to fill – the obligation to fill every space on the screen but it does provide some examples of what you could do, like have more right hand columns, move the footer to the right hand side and again, that’s why I don’t like responsive because you get disoriented when you’re actually moving from one device to another on the same website and you can’t find this stuff where you expect to find it. James: Was it his article that had the Windows 8 screenshots? Per: Yes, yes. It was. James: I love that screenshot because it shows Windows 8 like on a tablet and a reasonably regular smallish device and it has got like 12 bricks or something or 16 bricks, something laid across. It looks – and they’re all on the Microsoft standard, nice colours, the primary colour kind of thing and orange or so. It looks really quite stylish and nice and then there’s a screenshot of someone with a 27-inch monitor or whatever it is and they filled up the whole thing with tiles and that must be like 150, 200 tiles and it looks like your grandma has made a patchwork quilt from all the leftover material you had. Per: It’s impossible to find anything. Per: That’s something that we know and we know it from psychology studies. We know it from a research and from just experience working with the web for so long. Per: Less is more. The more choices you give the user, the harder of a time they will have finding something useful and making a decision about where to go next in solving their task. James: That’s the risk with more real estate. You fill it for the sake of filling it. Per: So we have this case of larger screens but we want to have less information. We’re moving towards less information in most designs I’m working with and I made the case tons of times about – I mean the right hand column, just ditch it. Per: It’s not helping your user. It’s just distracting your user. James: And then we can expand that and say that while if you’re going to have a super-sized monitor, the right right hand column that you’ve added to fill the space even further beyond the right column. It’s definitely not going to be used, so just get rid of both of them. But another aspect I think one of the articles brought up that we read last night, we have to put the links to these articles that we’ve read because we’re not referencing them properly but we have read them so it’s good if listeners read them as well. I was talking about the viewing distance we have for these monitors and comfortability, readability of fonts and so on, on the screens. Like when you’ve got the very large monitors, you’re expected – well, your font is going to be tiny. You can’t read them, so you need those to be bigger. There was a demo I saw with someone who had done – I think using the webcam or something that he did a demo so that when you came further and closer away from the screen, it automatically adjusted the size of the fonts. It’s like an eye tracking kind of demo thing. James: Because readability is all down to how clear letters are from a distance, viewing distance, comfortable viewing distance from the screen. You know that you hold a phone a certain distance away from you. You hold a tablet a certain distance away. You generally sit a certain distance away from your desktop machine and that’s the same and true for even giant monitors. So we’ve got an added aspect there that we need to know more about where you are in relation to the device, decide what font size or typography we use to make it comfortable for you to read it. Then the pixels don’t really matter in that sense. James: So yes, EMs, again getting into measurement units. That is much more sensible to use rather than pixels because the web is a reading medium. James: We have to make sure everything is readable so you can take actions and you can achieve what you need to achieve. So typography is maybe a more sensible starting point than physical pixels on the device. Per: I think it is, yeah. Typography, content. I mean well, the content is your starting point. What is the content that you put in there? And the goals, yeah. James: Yeah, what you want to do and the content from that. Per: So if you were putting out content, think about what could support that content, not what else could you put on the screen, but what supports the content that you’re showing currently just now. Per: And so few websites do actually, which is a pain. But also what I found – I mean at the same time as I’m saying that you shouldn’t fill every pixel on the screen just for the fun of it, I actually stumbled – and this article reminded me of it. I stumbled upon it when I was first designing for the iPad, realized that yeah, I want to have all these buttons over here and I want to have this and then there was space left and it was designing an app for the iPad. You need to fill the space. You can’t have empty space in an app and that’s really interesting because then you have to really think about it and that’s when you have these background images coming along, that you would have something that actually fills the space but doesn’t distract you from the content, but actually just makes something that’s in the background, something to rest your eyes on. Not even notice basically but it doesn’t make this page seem strange when you’re looking at it. There is a case – I mean going back to Bruno’s original question is that so many people actually have larger screens and sometimes you actually do have this wide space on the sides and people are wondering and I know that some of the clients I have been working with are asking – this looks strange. This looks weird. Why is there so much space over here? Should we do something with it? Something like background images and stuff like that. I like more than putting more banners or links or whatever, sponsored ads on the sides. James: Yeah. I get some complaints about my blog because it’s a very narrow single column at the moment and on the giant screens, if you do happen to run it full width, then you’ve got like 1000 pixels either side of white space. It looks very strange. Per: You were mentioning also – now I’m blabbering here but all the things at the same time but you were mentioning – when you were talking about typography and stuff there as well, you were mentioning before to me as well this thing about language and some languages have longer words than others, so column width actually has to be wider for certain types of languages as well. Per: You have composite words. James: You have composite words. It does get strung together to be very, very long at times. I mean generally speaking, you would say – well, one of the things that you could find with the research and what I recommend is that you never go lower than 45 characters on a row, on a line. So when you’re doing responsive, one of the checks you need to do there is see how few letters you’ve got left on a line when you’ve shrunk it to its minimum viewport because less than 45, it starts being ridiculous. You end up with one word on each line quite often. Then you shouldn’t go beyond like what – between 70, 75, somewhere around there and it’s the maximum length for each row. After that, readability drops because nine, ten words on a row is roughly good readability. Generally speaking for us English speaking people, that would be 70 odd characters. James: But that’s not true for all languages. German is one of the examples that German has longer words, largely speaking or broadly speaking, which means you might prefer to have a little bit more than that – or towards 80 plus, 85 maybe is more sensible for German. So you get on average maybe the nine, ten words still. But there then we’re saying maybe it’s more sensible to design for each language you tend to use rather than each resolution, the user specs the user might be using. Per: Yeah, I like that, adding a completely new complicated dimension to your web design. Yeah, using it to another language. James: But from a user point of view, that’s much more relevant. I mean if I’m looking at a site in German that was designed in English, with the 960 grid and the right hand column is 50 characters wide or something, when I look at it in German, or – the web editors, the web managers are not looking after the site when they’re trying to put all their headlines in. You suddenly find that the German part of the organization can’t put the title in for that particular function because it’s 25 characters instead of the 14 in English. James: Oh, you’re naming names. Per: I know because I stopped working with them. It’s so long ago. But they have operations in Finland, in Poland and in Germany. Also Finnish and Polish also have extremely long words. James: Oh, Finnish has some monstrous words, yeah. Per: I mean Finnish, it was impossible. I mean the lengths, you had big tabs. Per: No, but the design was impossible. Let’s not go there! Per: The tabs on the front page. They were just saying like home, business, private. They couldn’t fit. They couldn’t fit! James: Yeah, the sale content first but language – well, you go to content first then language automatically becomes part of the content first because you’re going to – it would help you produce all your languages beforehand. We know this doesn’t happen. This is the thing about reality – theory in reality. All the great web minds are saying mobile first or content first or both. Per: We do it in the wrong way all the time. James: We do it in the wrong way all the time or we’re forced to do it in the wrong way all the time. I think this is – we talked about this with Brad in the last show about how – I mean it’s one thing standing up and being counted and saying I believe in future-friendly – in doing stuff right and following my heart, my web brain and knowing what I should be doing. James: But then your client comes along and goes, “Yeah. Well, I want a new desktop site.” You design me of a new product page or landing page or whatever it is. Per: Right. Sometimes you’re just caught up in building more pages on the website that’s already there. James: Yes, they don’t want to replace their content management system and they haven’t budgeted or they aren’t ready for doing a major redesign to maybe go responsive. James: They just come to you and they’ve asked you to do a new – do a wireframe for a new product page. Per: Maybe they’re saying that well, you told me it was future-friendly six years ago. But apparently it wasn’t because then all these mobiles came and what we did before wasn’t future-friendly. So how can I be sure it’s future-friendly now if you just do it responsive? We can’t because maybe that changes in two years. We have some new technology that makes it easier for us to push out content in different devices. Someone will think of something new. Per: That’s where we should be starting with our content, putting it out there, just in plain text. Then start adding the pictures, start adjusting the fonts, the width. Test it. Then start adding the navigation. So do it in the right way instead of so many times going to the ad agency or whatever agency you’re going to and they will design something before having any content at all and you’re trying to squeeze it in. James: I joked last night when we were chatting about what topic to record today, about web design being impossible. James: The more enlightened you become. James: The more dark and evil the whole thing becomes. I mean OK, we’re 25 minutes into a podcast show now and we’re trying to help people here and we just said it’s impossible. So you might as well switch off now and go out in the garden. It’s very, very difficult to mix all of this together and even the greatest web minds out there still don’t really have the perfect answers to everything. It’s a changing landscape as well as a complicated one. We’ve got all these devices. We’ve got all these languages. Per: And you can’t trust the statistics. James: You can’t – I think more there is – yeah, at times you can’t trust the statistics. You can’t also maybe trust your own analysis or analytics. James: Because most people actually don’t know what they’re reading. The people’s knowledge about what does that mean. Per: Yeah, you need qualitative data to actually go out there and like you were saying, see people using your site, using your services and that’s where you draw your conclusions from. James: So we’ve got language. We’ve got typography. We’ve got behavioural science. We’ve got – the list is endless. We got clients. We’ve got agencies. Per: Yeah, and the experts online as well, saying something. James: Also you maybe work for an agency and that agency itself has sales goals. You’ve got a sales team who sold in a project to a client. The whole complexity of how we built up the industry and what we’re expected to deliver. It makes it impossible to do the perfect website. Per: So I’m the CEO of Kellogg’s James. I don’t know why I pulled that out and I come to you and I’m asking we want to build a website. How do you decide what resolution to build for? James: Oh, I like that. If I turn around slightly, can I look at my whiteboard? James: Well, first of all, you’ve got to make sure they’ve got their goals set right. James: Because you come to me Mr. Kelloggs and so you want that. I want to ask you and check that you know what you want from it. Why are you doing it? What’s the point behind your website? How does it fit into the rest of your business, your business goals? What are you trying to achieve? Or even just that one page you want me to design. What’s that going to achieve? And after that, we can then start getting into maybe what’s going to be on it, the content. Shall I go through – I actually wrote a six-step answer to how you could go about this. James: Yeah, first of all were goals as I said Mr. Kelloggs, and then research, research and measure. Really the measure. You know that I push this so much that you’ve got to measure the viewport being used and see what is happening because I’ve done this on several sites now and I know it varies from site to site quite a lot and I know that resolution is irrelevant. James: And you’re not going to do it before then. James: In that sense, I’m going to recommend that you try and put that in place for the future so we can do a better job next time. But then we’re just going to have to basically guess based on resolution and yeah, then we know as well though that from other research, that – well, depending on what resolution was popular, that we can properly guess that – the laptop, the standard laptop size is still the most common, 1378 by 768. Almost every single laptop screen is still that even though it’s pixels and we said about don’t use pixels anymore. That’s the size it is. Retina Macs and things, that’s different but most normal laptops and in business environments, a lot of people are still using those resolutions. Per: … then you may have to go back and actually you need to find the goals. James: So you’ve got to do the research there and even as you can’t do analysis and measure the viewport, then yes, you got to – exactly what you said. Reaffirm that these goals are going to work and the same time, you bring out some empirical research that says oh look, our users are mainly doing this or look, consuming the website or the content in this way. Per: And then also set how you’re going to measure the goals. James: Yeah. And then I want you to take – to do the content. Actually produce the content. James: That is going to support the goals. Per: But I haven’t hired a copywriter yet. James: Then we have to try and use the existing content, if it’s an existing website and this also may be difficult in that you might – I think some people are going to struggle maybe to do content for a page, all content, including micro content for micro copy for various bits. We got any kind of design whatsoever. If I tell you to write a webpage, and you’ve got no idea of menus, you’ve got no idea of whatever site you are, what they’re all called, if it’s going to be – you’ve got nothing. You’re building from zero. Per: I think I love trying to do that. I can honestly say I haven’t done it. I think it’s a really good way to do it. Per: And I’m going to try it at some point in the future. James: It would be interesting because I think it’s going to be a real challenge – with a blank piece of paper doing content first. Per: Then you’re really focusing on the goal. What do you want the user to understand or achieve or do after doing this? James: You’re right. It has got to have the goal and even some – yeah, and even SEO comes into it though. That maybe is a way of helping with content first. James: Making people think about the – the kind of good headlines then how it’s going to be appearing in search engines. What’s the readability level? What’s good? Making sure content is easy to read not just from a number of words on the row but also the language level. James: Not making it too technical or too high level language, keep your readability age down because we know people find that easier and allow people wonderful reading. Per: I’m actually reading The Art of Explanation now by – I forget his name but I will post it on the show notes but the guy – do you remember these videos about RSS in plain English? Per: Yeah. Sold the guy who made those. He also made the video for Dropbox. Per: And there’s a lot about explanation, how you have to really dumb down the language and make people – start off at least explaining stuff, getting the context of stuff so that people know where are they. What do you want them to do and why? Understanding why before you understand what and I really like that. James: You try to solve something. Yeah. Then once you’ve actually worked out your goals and you’ve got all your content produced, then I think you should design for the smallest screen. James: Produce something for the smallest screen size. Do the whole mobile first thing. Per: From my perspective, the smallest screen will always be the iPhone. James: Yeah. Well, I mean depending on where you were in the world and what markets because there are still groups of – there are countries and groups of people that are using feature phones. James: You’ve already done your research. Per: James, it has to be future-friendly. These people are going to buy iPhones. James: Yeah. They will. But if you’ve done your research and you understand your users then it doesn’t matter because you choose the right device to do that smallest one first. James: But OK, now you’ve done a design and it’s – we’re probably talking about three-inch and 320 pixels wide now because it’s the smallest group first. Per: Yeah, bump that up to 1440. James: I don’t think you should. The step there I reckon, prototype, because if you then prototype that smallest one, you got something to play with and I’d – well, you test it in the smallest device but also you could start then to – seeing how this copes in the other devices or other sizes that your research has shown that are relevant for your products or site. So rather than kind of saying, “OK, we do 960,” you might not need 960. You actually might find that other sizes are more relevant to look at and then you can start stretching and playing and see what breaks and tweak and adjust to make it work on the larger sizes. James: Or smaller ones. It might be that the one you realize afterwards that you want to go a little bit smaller to cope with an edge case. Per: That most users use. James: The smallest, relevant screen. Per: You’re not going to start with the mobile. Per: Now I’m getting really complicated and you’re realizing that you have some power users and the power users are the ones that are buying and they’re going online and have a ready shopping cart and then perhaps a few of them are actually going and pushing the buy button in the mobile resolution. Then you would realize that those are the guys that you want to design for. So it’s all down to which ones are making the money as well. If that’s your goal, if you have money making goals. James: Which ones are relevant. The smallest relevant screen size first. Per: So many parameters there that you have to take into account. James: Told you it was impossible. Per: Exactly, totally. Well, it’s complicated but there are like – I will make a template for it. James: Yeah. So you can grow – with the whole mobile first thing and start with the smaller one first and it is easier to grow because you’ve already done the job of focusing your content and making sure you’ve got just the bare minimum you need to fulfil your goals because we know as soon as you start – you said as soon as you start more real estate, there’s an instant desire or you need to fill it and there’s often the battle to get stuff left alone. I mean not fill stuff. You’ve got an AD or some designer that’s filling up the page and then maybe aren’t the ones who has worked with the content. They aren’t the ones who are going to program it and so on. We’ve got these islands of – these silos of competence that are involved in these kinds of projects. You are going to fight to get your white space or to not add extra features just because there’s room for extra features. James: And making sure you make – whatever you do add, you measure to make sure you understand the success of it. Per: Or the failure of it. James: Or the failure of it. Per: Yeah, because sometimes you have to add something because the client is just on you all the time. Per: And you add it and you have to measure them and see how does that take away from what you’re trying to accomplish with the webpage. James: I got a question the other day about – oh, there was a suggestion of a mobile’s version of a page my client is asked to be produced for his agency. It doesn’t include like five features from the desktop site. James: I haven’t answered yet. I haven’t had time. But just that. Well, if the agency decided not to include these five features, is that because they’re really not that relevant? Per: Yeah, we’ve encountered that before. James: Or is it that they’re trying to save time and money? There’s no budget to produce all these features in the mobile version but the client wants the mobile version. You end up getting it – you’ve lifted a stone and so now you go, OK, what’s the business needs? What are the business limitations? Is it a budget thing here or is it a lack of research, a lack of understanding or readiness in the organization for certain decisions? Per: Yeah, that’s what I’m thinking. We started out with the screen size and we’re now into business goals. You have to dive into every part, every crevice of the organization and actually realize what they are all about. What can they accomplish? How much money do they have? What competencies do they have? How much time and money do they have to actually work with this over time? After you’ve done the prototype, I mean you’re launching and your point number five on the whiteboard there is you actually grow as dictated by research. OK. So do we have any money left to do research and to actually do the redesign? Maybe not. How sure are we that we’re right when we launch? James: Probably a good thing to finish off on now is just say that in digital and on web, any – if there’s a quick and easy answer to one of your questions, it probably means you’re doing it wrong or doing it in a quick and dirty way, and you’re not doing it the best way. James: And in some ways, that’s fine because that’s how it is. If I came to you and say, yes, design for 960, then I’m just giving you a quick and dirty answer and I’m not giving you the full picture because we just explained – just spent 40 minutes explaining a lot about the full picture and it’s very, very complicated. Per: But are people going to have time to understand the full picture? James: But then that’s the business decision itself. As long as you’re aware of the fact that these quick, simple answers mean that you’re ignoring a lot of elements and a lot of factors and as long as you understand that by taking these quick, simple decisions, then you probably are doing that. You’re not doing the right thing. Then fair enough. Just keep it in mind for the future that you probably need to allocate some time and money to doing it a bit better later on. Per: I can’t stop thinking about the quick, simple decision people are making nowadays is responsive web design. James: Yeah. I emplore you, if you’re doing responsive, make sure that you monitor your page load times as part of your web analytics and segment it by mobile and desktop and so on. Per: Yeah, just make sure you visit your website now and again in your mobile and see what’s going on there. Per: Wow, thank you for listening to all this rant about screen size. But it has been fun actually, I think. You’re going off to Spain. James: I am. But you’re not back at work yet, are you? Per: No, no. I’m – well, I’m semi-back first of August. I will be working on and off from the summerhouse I think, and so living the good life of the freelancer. James: But for our listeners, we’re always open. Per: Of course we are. Yeah, Twitter, email, yes. I’m in there all the time as always. James: Yeah. And as usual, if you like the show, then give us some feedback. Get in touch with us or if you’ve got any questions or any points you want to argue about or correct us on, then yeah, get in touch. We would love to hear from you all. Per: Check back in two weeks. Continue having a great summer everyone and remember to keep moving. James: And winter for the people in the other side of the world. James: Winter for the people in Australia. Per: Oh my god! I always forget that this is a podcast and internet is global. James: We’re a big round thing. James: It’s not the same everywhere. Per: Yeah, but it’s summer months. James: No. It’s winter months down there. Their seasons are the same. Per: Do they actually say winter? James: Yeah, absolutely! Because it’s winter. It’s colder. James: Oh, South Africa is not that far south really. James: Not when you look at Australia. Per: Well, the seasons don’t change as much. James: They don’t need the geography lesson. Per: I didn’t realize this. James: This is not a geography podcast. James: Can I get a cup of tea? Per: We will save it. We will save it but I didn’t know that. It was fun and so I hope some other people didn’t know that as well. Now remember to keep moving. After returning from Intranätverk, an intranet conference recently held in Sweden, James shares some reflections. We also talk about user centered design for the digital workplace and how intranets are the “poorer brother” of the world of web. Has the world of intranets finally started to catch up? Intranätverk, intranet conference in Gothernburg Sweden. 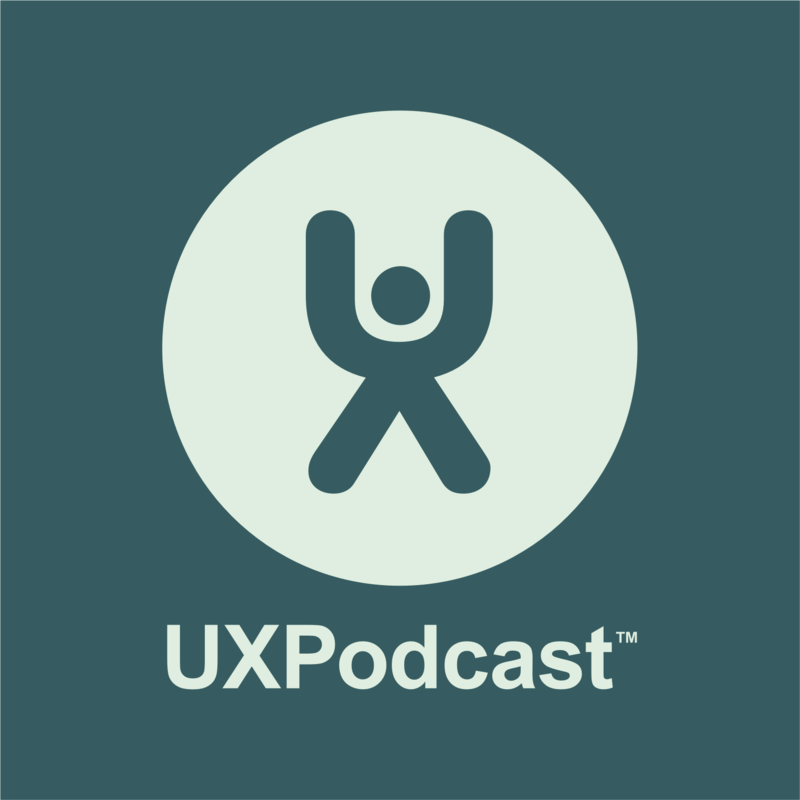 Per: Hello and welcome to episode 48 of UX Podcast. You’re listening to me, Per Axbom. Per: And we’re doing this episode over Skype. Per: This morning my bike, my motorbike wouldn’t start and I thought, “OK. I will just take the car,” and the garage door wouldn’t open. The tag – there was something wrong with the tag. So it has just been a crazy morning. James: I know. For me as well because we’re doing this about 40 minutes later than we booked or planned. James: And I was just about – I’ve got guests here so I can’t do – I can’t record it from a normal office, in the office. James: I was just about to go down and set everything up and I heard my neighbour talking to me, calling me. OK. It’s very unusual that the neighbour starts talking to me at 9 o’clock in the morning because we’re all so busy. We’re doing our morning routines and things. James: What he had done was he had waved – he tried to kind of wave a wasp away when he was getting into his car and he kind of did that with his hands that he had his house keys in. He managed to fling his house keys. James: Into my garden just after he has locked the car or before he got into his car – he locked his house but he now went to his car. So he had to come around and me and him, we’re going through my meadow of dandelions that’s outside of the house searching for his keys. So that delayed me by about 10 minutes as well. We found them. Per: Let’s look back – before we start, we were talking about intranet today. But let’s look back at the event episodes we did for UX Lx. We got some feedback. James: Yeah, we did a few episodes. Per: And we got some feedback partly about the intro because we do a lot of episodes – I don’t know. How many did we do? Six or seven? James: Seven because we did a pre-episode as well. Per: Right. And you have to listen to the intro every time you listen and we do two a day and you have to listen to the intro over and over again and the feedback we got was that maybe we could shorten it. James: Yeah, it’s about one minute, fifteen? Per: Yeah, and we realized that probably is pretty long for any episode. James: Probably, yeah. So we’re – I’ve chatted to Dan Pugh, or Dan Lo-Fi. He’s the guy who composed and created the theme tune for us. I’ve chatted with him and he says he’s going to do a 45-second version. James: Which I think is a good compromise. James: We’re going to try. We’re going to iterate you see. We’re going to iterate and try. James: Yeah. But if you got any more feedback because I – we both like to know what you think of the event format. When we go to these events and do seven episodes, quick succession from the actual – than itself, do you like it? Is it good? Is it interesting? Is there another way maybe you would like us to do that kind of reporting from events? Would you like us to do more events? Would you like us to stop going to events? Per: Are you organizing an event and want us to be there? Then give us a call. James: Yeah. And we will happily come there and cover your event for you. James: So feedback is good. James: It allows us to iterate and improve. Per: OK. Onwards to today’s topic. James: Yeah, we’re interested to let everyone know it’s the 30th of May today. We’re very nearly at the end of May which means here in Sweden we’re rapidly approaching – well we’re in the crazy bit before the summer shutdown. Per: It is. I realize today it’s eight days of school left for my kids, eight school days. Per: You would think but next week is two days off. James: Yeah, and both of my kids have their birthdays before school finishes. Per: Ah! Excellent! You have to organize all these parties. Per: Yeah. Oh my god. My birthday is coming up as well. James: It is. I only know that because you share your birthday with my son. James: Yeah. In case people think I’m kind of super memory man and can remember everyone’s birthdays. I can remember two birthdays, maybe three if I include my wife. Anyhow, yeah. Last week, if it wasn’t enough, we’re going to Portugal for UX Lx. I went down to – I went across to Gothenburg for a conference called Intranätverk. How do you translate that Per? James: It does in real. On the hash tag and things, he doesn’t. Per: So it’s a word play. It either means intranet work or intranet pain. James: So the intranet works as in the place, the factory where you sort out the internet. You smelt things. You make things, the birthplace of industrial products, that kind of thing. When we say he, we mean Kristian Norling who is the organizer of this conference. James: Both Per and I know. Per: And I hear he did a really good job. I’ve heard a lot of people were really pleased with the conference. James: It was a really good conference. It was really well-organized. I’m not going to talk too much about the performer itself of the conference but he split it up into two days, three actually because there was a workshop day. The first day was Swedish, Swedish speakers, the whole day of Swedish theme. Then the second day, introduction speakers or rather a mix of Swedish and English but everyone spoke English. James: Which mainly caused a Twitter flow on the second day. It was different because it pulled in interest from the internet community at large. Per: Right. I really like that way of setting it up because in other events, I’ve seen where English speakers and Swedish speakers are mixed up and then you – well, it’s unfair to the English speakers because they don’t really get what the other people are talking about. Per: And also you attract a lot more international – oh, the international crowd really for attending a full day in Sweden. It’s just really cool. James: … easier to follow when you’ve got it all in one language for that day. So that’s why I went on to the English day and took a train really early in the morning to Gothenburg. Per: Yeah. You were just there over the day. James: I was. I actually missed my train. Per: You just told me. James: No, because I’ve been using the Smart Alarm on my UP to wake me up. I know you have too and I really like it. But it just didn’t work. I set kind of one day, alarm just for that one day and I stupidly – because I had to be up for such a specific thing. I should have just sawed the UP and – oh, language. I should have just kind of used the proper alarm, a real alarm for that morning. So I had to rebook last minute. Per: So the UP we’re talking about is the Jawbone UP armband that we both are using now to record steps and sleep as well. Per: And as alarms then. James: Yeah, as alarms. We do it – we’re probably going to do a show about that at some point, about quantified self. But anyway, I missed the train and I had to rebook. But I got there. I missed most – I missed all of Sharon O’Dea’s talk about the mobile digital workplace. But I got quite a good chance to talk to her and chat to her. I was reading all the tweets in the train so I got a good feeling with that. But what was really interesting because I’ve been to a few internet conferences and I’ve worked quite a lot over the years with intranet. Per: I think the last time I talked at an intranet conference was like two or three years ago. Per: So for me it has been a long time since I’ve actually been in that area and talking about it and really diving into it. Per: I was looking through the slides because I wasn’t there. I was just looking through the slides yesterday. Kristian has been really good about putting them out and he’s putting out some videos of the talks as well. James: They’re already out. Yeah, he has released them, I think. Per: Yeah. And I realized that oh my god, nothing has changed. Same old problems. Who’s the owner of the intranet? Yeah, it’s the information department. They only care about shooting out information. They’re not communicating. People have a hard time finding things. They’re swearing over it, stuff like that. James: I think it was a big difference with the Swedish and English there. You’re right. An awful lot of people, it’s still the same old story of intranet and I think a good way of describing this is that you’ve got – if you look at the internet, although the world of web and things we do with web browsers, we’ve got – on one end of the scale, we’ve got ecommerce and the ecommerce side of things, they’re the ones pushing the boundaries. They’re the ones that are doing all the research. They’re doing real – or the products and ecommerce side of things. They’re doing the research and looking at what’s happening. They’re testing. They’re iterating. They’re tweaking and they’re making money. Then you’ve got the non-transactional services and sites where it all gets a bit more fussy about why we’re doing stuff and a bit more loose about whether we need to do certain things and we don’t test as much. You don’t research as much and have lower budgets and everything. So they’re in the scale. We’ve got intranet for the poor younger brother and everything. They have least resources, least money. They do least research. They do least of everything and been stuck for several years behind everything else. That gives you a feeling of what it’s like to work with intranet in many situations. It’s knowing there is a balance. Per: They’re behind and there’s no incentive really. There’s no monetary incentive which is why they’re left behind of course. James: Yeah, exactly. It’s like a non-transactional site on the internet. You’ve now got the direct monetary aspect of ecommerce. The joy there is that you see people put things in the baskets and check out and you see the cash coming in. With intranet it’s all derivatives. It’s all – you enable something to happen and become profitable or do their job. Per: Yeah, people aren’t really measuring the outcomes of intranets. Per: They may be asking how happy they are with it and people may be, “Yeah. OK.” And that’s fine. That’s a fine answer for a lot of people but I mean it has so much potential to be so much more as a tool in people’s everyday work. James: Yeah. I mean just looking whether people are finding a webpage or getting to a webpage on the internet. That doesn’t really tell you whether it has all been successful. This is the same theme the last – what has happened in the last year or so, year or two in the world of intranet. We’ve had a birth or talk now of the thing called the digital workplace. It kind of started the same time as we started talking about mobile and how do we deal with mobile for intranet. This is also a digital workplace. The bigger world outside of just your desk computer, integrating all services inside the company into one platform you could call it. You could call it the digital workplace. James: Because inside companies there are always multitude of systems. You’ve got time report systems. You’ve got room booking systems. You might have ordering systems, the stock systems, accounting systems, procurement systems, payroll and HR systems depending on what you’re working with. You might have a special system for the client information, customer service. I mean the list of types of systems is almost endless and all of these just sat in silos internally. So the digital workplace talks about how you can work with these as a whole and improve the user experience or the employee experience. That you could say leads me into what was my biggest take-home from Intranätverk. People were talking about user-centred design. People were talking about listening to users. Per: Oh my god, listening to users. James: People were talking about research and researching thoroughly before embarking on an intranet project. Per: So actually finding out what people would find it useful to have on the intranet. James: What they need to do their jobs. James: But I mean I know. You’re mocking it a little bit now Per. And I’m actually joining in with you a little bit in mocking that but any of us otherwise who have intranet know how much of a revolution it must be now for this to start happening. People are talking about conferences and talking about this and actually doing this in some situations. Stora Enso and IKEA were two of the people – two of the companies that did presentations. They’re doing this. They’ve learned and realized that it’s not just about building intranet page for your departments and pushing out the information that you think might be useful for everyone. James: … a lot of music in the background and he said – well, even though that now organizations know in principle that UX is important, what are the excuses? Why don’t they do it? Is it just not enough time now? So I replied. Well, I think it seems expensive and we have the same story with UX on the other side, on the internet side. It’s considered often expensive and time-consuming. It costs time and money. Per: Right, and this is hard to measure. James: Yeah, and it’s far, far too easy to plough on without doing it. Per: Yeah? What are the goals? James: Sometimes it’s – I mean there might be things that you can find information easier or I’ve even had intranet goals where I used to – these things like to reduce the number of documents. Per: Yeah, or something like you said before, like share information. Per: But sharing information is not for everyone. Per: Yeah. And of course that’s where the UX comes in, that you have to really find out what are people doing everyday and what tools do they really need. But I find that people are rushing into the social intranet, sharing information, all that stuff, making it sound really cool. But it doesn’t always have to be. Intranet can be boring but still very useful as long as you can find information you really need when you start working with the stuff you work with. James: Yeah, I mean it’s about being honest. All these projects we do whether it’s intranet or internet, a lot of them kind of – key things are down be honest to yourself and be honest to the project. What are people really doing? What do they really want? What does the organization really want? Can we honestly make this mesh together in a way that works? I don’t think this is – this is like what you’ve said there about traditional intranet. There’s an awful lot of blah, blah, blah, putting your hands over your ears and not listening and ignoring and even if you do do some of the research. I mean Sharon O’Dea said about you could do – you do some research, maybe a workshop or something like this and then ignore it and write what you think and just say you did some research. That’s the kind of thing that does happen in many projects I think as well as intranet projects. You kind of listen and then ignore it and plough on doing what you wanted to, pretending you’ve done some research. Per: Yeah, that happens a lot. James: So yeah, but I think another issue, not only is often the case that intranet projects are considered to be technical projects. This is in part because of the much – when you get into enterprise organization, they’re the bigger organizations, the availability or the choice of system, because everyone wants a system and when looking at the pure internet side of things, then the choices or platforms are very limited. Nowadays I think it’s like seven out of ten of large organizations are running SharePoint or it may be higher than that. It’s probably even eight out of ten. It’s a ridiculously high number of organizations, large organizations that are running SharePoint in some form. That’s almost always a thing that comes out in the IT department and it’s very rarely done with users’ needs in mind. It’s done with IT needs in mind and pushed out and there’s no choice because maybe the rest of their whole architecture is Microsoft-based so they put SharePoint in there too or they see that everyone else is running their intranet on SharePoint so that must be the thing you should do now. Per: So what happens then is that people find workaround. They find workaround in the way that they use Messenger or stuff like that, just email. James: That’s a really good point, Per. Another conversation I had was about Dropbox and just thinking about like well, SharePoint, it’s an awful product when it comes to usability. They clearly have made lots of improvements for this version 2013 and they have I think made something like over 100 user interface changes and improvements. But for any person who has been using the previous versions and gets upgraded, that’s an awful lot of learning. James: I don’t know. My wife has SharePoint at work and she can swear sometimes. When she’s using SharePoint, the worst of her language comes out, I can tell you. She hates it and I know very few people – do you know anyone who loves SharePoint? Per: I’m thinking really hard because we had SharePoint at Xcelent before as well. We were really trying hard to make something out of it and we couldn’t and there were lots of smart people working there. We were trying to integrate it with the Yammer. We couldn’t even do that. James: That’s easy now because they actually bough Yammer. Per: Oh, yeah, exactly. Right now that should be. James: Well, it’s getting easier. It’s getting easier but it’s still a parallel product. If you ask normal workers who have to use SharePoint, it is very, very few. I think it’s a dream product. Per: … if SharePoint is useful. A lot of people get their work done and they don’t really care that people are swearing over it because they’re getting the work done. But they’re not reflecting over how much better work they could do if they were smiling all day long. James: You will also get things like – going back to what we said about workarounds. People are like water. They will find the way out. They will find the ways to do stuff and one of the conversations we had was about how people are taking the documents that are officially stored in SharePoint because that’s where they have to be but to make them accessible by their mobiles and other laptops and things. They’re putting them in Dropbox. Per: Yeah, I worked as a consultant at a big company, no names here, where they introduced a new document management system. I mean they put millions and millions and millions of money into this. Insane. And it was just too slow to work with. So what happened was people came to meetings with USB sticks and they were walking around giving each other USB sticks because that was the best way to share information. James: Or you email the document to another email account. James: Yeah, everyone does all this and it’s what I’m saying about being honest. I mean you’ve got IT and security and compliance and everything and you’ve got these big vendors like SharePoint or so on and what it boils down to, they’re not really doing so for the users. Per: And there are so many stories like this and it all comes really down to ethnography. I mean if you could just work – be around a workplace like that for a couple of days or a week or so, you would know what the problems are and how people actually do work and you have so much information about what type of intranet you really should be doing. James: And that’s exactly what Stora Enso and IKEA and some of the other speakers on the second day of the Intranätverk said. Listen to users because you get so much good info and good ideas and you know what they want. Per: Yeah. And again, a word of advice there as well. I mean it’s not always all about listening to what they’re saying but listening to what they’re meaning. James: Exactly. It’s talking to them and then recording and interpreting what they’re saying. One excellent thing that IKEA, they talked about guerrilla research because it’s fantastic. See if I can find what I wrote here about this. I can’t find it quick enough. Now, guerrilla research, what IKEA did, they sent out – well, someone with a camera to a few different IKEA locations around the world. I think there was one in China, one in Sweden. There was one somewhere else and they asked them. Oh, what’s your dream digital workplace? What do you want from a digital workplace? They ask normal workers. Per: I’m sort of getting goose bumps here. I’m realizing that if there’s anything you listeners should be doing or both of us as well, if there’s anything we should be doing in our projects, it’s to go out and talking to people and using the camera and showing that around. It’s the best way to communicate. James: Go and look at the IKEA talk from Intranätverk. I will put the link up to it because Kristian has published it and if you just watch one bit of it, skip to the bit where they show the film. So what they did is they edited all these little clips from when they asked these questions to normal people and put it into – I said normal people, just workers. They put it into a three-minute video as part of the pre-project work and buy-in process for the project. This three-minute video is excellent. It tells you like it is. Now people say things like, “Oh, well I just want to be able to write an update and do it.” They say this simply as they want it to be. But they don’t say, “I want SharePoint. I want to be able to do massive technical specifications of everything.” They just say things really simply and straightforward and that’s how they – oh, this is my job. This is what I want to do and I think it should be like that. I was just sat there watching that. Thinking, oh wonderful. User research, going out to talk to people, filming it, sharing it with us to help plan the project but also help educate others about what people think out there and communicate some of the aspirations and desires and needs of the workforce. They sound like they’re on a – it’s going to take – they’ve also been sensible enough to realize that to move IKEA to a fully modern digital workplace, it’s going to take a long time because it’s not just systems. It’s cultural. James: Change management is a crucial part of all this work and that’s – it’s always true with these internet projects. You’re dealing with people’s workplaces and how they’re doing their jobs. It’s not just throwing out. It’s not just launching a new design start page. You’re changing people’s worlds. Per: You’re changing their world but you have to be changing them in a way that oh, I’m using something like that already but this is much better if I use the intranet version of it. Per: And you were also mentioning some stuff about replacing tools like – we have SharePoint but for other purposes, we’re using other tools. I know I saw a slide from Oscar Berg. He had the traditional tools and he just replaced them with Dropbox and Yammer and whatever. Per: And realizing that you can just piece together a tool in a week now that would serve as your intranet but it’s made out of 20 tools that are available online right now. James: Yeah, there have been a couple of good examples of Swedish councils that have done that kind of thing. Well, they’ve taken basically all open source stuff if possible, all that kind of off the shelf tool and spent their efforts and money just integrating these together in a way that works when they need to, allowing it to be more agile, more flexible, going forward. James: Because once you’ve implemented SharePoint, you’ve implemented SharePoint. James: That’s it and you’re going to be – many, many, many years before you leave that world, if ever. Per: And thinking about that perhaps there are people out there that actually do like SharePoint and can use it in a good way. A point I really like to make about intranet is that it is a lot about finding information but some people are just better at finding information than others and sometimes it’s just better to have someone you can ask that can search for the information for you and you shouldn’t be afraid to implement systems like that. It shouldn’t be about everyone doing everything. It should be about the people that are best at something. Give them the tools to help others as well. James: Yes, this is something – when I was last working with a social intranet – that’s one thing I preach a lot about is that people like asking people – you learn and you know. If Peter, you know Peter is pretty hot and pretty good on that tool or that process. You ask him. You go across. You walk across to his desk and you say, “Oh, remind me. Where is that document? What do I do with that?” And he tells you because he is the guy who knows that thing. Why would I sit there at my desk 50 meters away and search for it? It’s much more efficient to ask him. Same as like you pick up the phone. You ring someone or you email them because you know where the source of information is because we’re social creatures. Per: Right. And the intranet is not just the technical stuff. The intranet is the people. James: Yeah, exactly. And the kind of searching for information, the Googling internally, that’s a fallback. That’s something you do when you’ve exhausted your social contacts, social channels. I found that quote from IKEA now as well. James: My collection of tweets. It’s from a Chinese IKEA worker. We’re talking about the digital workplace, the future vision of it. Everybody just logs in and puts some updates. It would be so much easier. That was it, you see. Wonderful. James: Yeah. Another bit of – it was Linda Tinnert from IKEA that was in the presentation. She said that showing awareness and understanding is the foundation to digital workplace success, which is a nice insight there. They realize that it’s the people. It’s about the people, stupid. Per: Exactly. It’s a good realization. It’s a good step on the way but I mean stuff like that, what you were saying what the IKEA is doing, just going out and filming people and talking to real people. I think that’s what we have to realize we have to do next. We have the insights. We know it has to be user-centric. We talk about user-centric but we have to start doing it as well. James: Yeah. I think because of the way that the world of the intranet is so – even those waking up now are making some progress and a lot of companies are showing how you can do mobile and digital workplace and do it well. We’re still years behind the internet and I think it’s going to hit like a car crash in a few years. James: Because we’re going to have such high expectations and we’re going to see how it’s working and how the internet itself has become much more mobile first or mobile only and people who are non-desk workers who were doing jobs in the field, are going to start to be living in a world where they can do absolutely everything via their mobile apart from their job. Per: That’s a good quote actually. I like that. James: And that’s when the car crash will hit because you’re just going to get such a huge amount of stress and frustration and I’m hoping a bit of tipping point. We will really see then that God, we’ve got to do this now. There’s so much money to be made from allowing people to work in a better world. You’re researching how they work. Per: I can actually relate to that in the project I’m working in right now because there’s one woman who works – well, in a state-owned company, let’s say that, and so funny because we’re a project team and there are four people of us and three of us are consultants and she – her computer, she can’t install the stuff that people have to work with. We wanted to install Dropbox. That won’t work. Google Drive, that won’t work. Skype, that won’t work. So we can’t really communicate with her. We actually meet her and so it’s funny because the rest of us were just all over the place with all these tools and it’s making our lives so much easier. Per: And she’s just not allowed to. James: Yeah. No. Not an unusual story. James: But it’s kind of nice that you’re forced to meet her. Per: We sit all day working in a small conference room nowadays. Per: Kind of fun as well. James: But this whole thing about.. Jonas Söderström was saying as well, that there’s a lot of talk about digital workplaces and there’s a lot of focus at the moment about how we can enable – or you do the opposite of your who and enable people to telecommute and work from Starbucks or from home or from anywhere they like. But we’ve got to remember as well that that’s just a proportion of our economy. James: It might be a very important part of it. It might even be the driving engine for the economist, these desk workers, digital workers. But you still got an awful lot of people out there who are doing field work and managing forests or doing care work or working in stores, shops and things where they have all got mobiles in their pockets and it’s going to be – we’re going to have to have a revolution in a few years. James: I’ve got one more little insight here. When we had our kitchen done, I might have mentioned – did I mention this one to you? James: About the workers that came and they did the building work here and just that fact, that they all had iPads and telephones. James: They were reading content and doing – they were – during their breaks. They sat there discussing news articles and reading news articles and things on their iPads and it was fascinating to come in and see this. Like three builders sat in my living room all with their iPads and iPhones discussing content, discussing sports and stuff. A few years ago, they would have only sat there with tabloid papers, you know paper papers, reading yesterday’s news. Per: Yeah. I remember the carpenter who came in to build my kid’s loft beds. He took pictures of the beds after he built them and posted them online on his Facebook page. That was his marketing. James: Yeah, one of the guys who did my kitchen and stuff did the same thing. He took a picture of one of the best features we have on the kitchen and he posted it and he uses it in his collection of photos or shows when he’s doing sales talks with people. James: One of the things we heard from – I think it was Luke at UX Lx, Wroblewski. He talked about how in America certain demographics are, mobile is there only way to access in the internet. So they’re all out there. They’re working and they’re doing jobs and they have the mobile and the mobile is their internet, yet they’re not able to do their jobs. James: Because their jobs haven’t come that far. Per: And then I just read the other day which was a study from Australia where they actually realized that the mobile internet usage has surpassed the desktop and the – well, not only desktop but – what do you call it? Laptop computers as well in the use of the internet. So more people are actually accessing the internet via mobile than regular computers now in Australia which is – that says something and it’s probably – they just haven’t done this study yet in a lot of countries but that tells you a lot about where we’re going and it’s just mobile in the future. James: Yeah. But also we’re entering a bit now – we’re entering a phase now. I think we’re still drifting a little bit but we’re entering a phase now where we’ve got more device diversity than we ever had in the history of personal computing. James: We’ve got mobile phones that are everything from three inches to six inches now and then you’ve got tablets I got from basically six inches all the way up to – I think Sony to a 24-inch tablet which is madness and then you’ve got laptops which you can remove keyboards and they become tablets. You’ve got laptops that are everything from like 9, 10 inches up to 24 inches or something. You’ve got laptops themselves and you’ve got desktops and you’ve got iMacs or whatever with massive retina screens that are big as football pitches. Per: I actually found the link yesterday. I will post that as well to – I think it’s called Screensize.es. So Screen Sizes. Per: And they posted a lot of these different sizes. It’s insane. We are drifting but I think the workforce – it’s all about understanding the workforce and I’m realizing that people have so much stuff. They have so many gadgets and they have better devices at home than they have at work which means that people are bringing their devices to work and expecting them to work better for them in their workplace as well. James: Yeah, and that was one of the things I talked about at the conference bring your own device, that whole – well, bring your own device and also that convenience always wins. I said earlier that people are like water. They will find the way to trickle out and to do what they need to do to do their jobs even if your IT department doesn’t like it or your policies don’t like it. James: Keep on swimming against the stream and hope that you will get to the top of the mountain again. But this won’t happen. We’ve got to be honest. Wake up. Do some user research and listen to our workers. Help them do their jobs. Per: I think that’s a good note to end on actually. James: Yeah, I think so. Per: Excellent. Thanks for listening. Remember to give us some feedback and remember to keep moving. This time James and Per discuss usability rules and recommendations. Jakob Nielsen earlier this year updated his web design recommendation, saying that you should now design for around 1440 pixels wide. With this as a starting point we cover browser viewports, research, recommendations, responsive web design and mobile web sites. Phew, all that and a little more in 29 minutes! In this month’s episode of UX Podcast James Royal-Lawson and Per Axbom talk about the darling of 2011 – responsive web design – what is it? what are the benefits? What are the pitfalls? Is responsive web design the ultimate solution to web design? or is it, in many ways, a step backwards? Are media queries the answer to the fold? Episode 4: Stop producing crap! Why do so many end up being below par? Why do some end up being great? What can we do raise the quality of the web stuff we make and run?